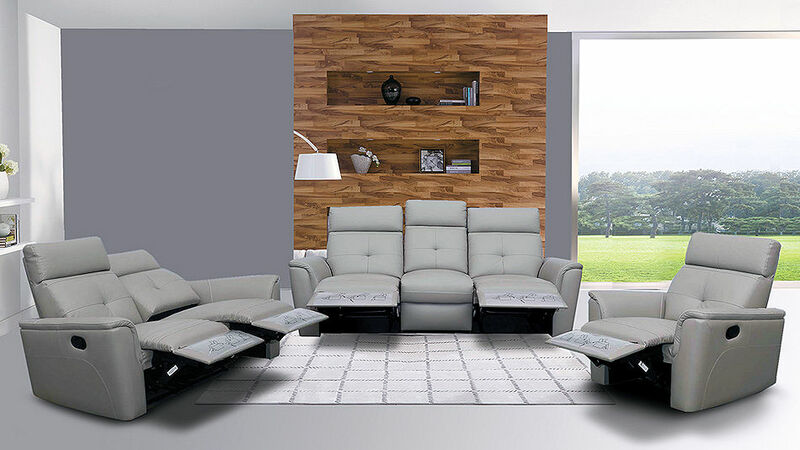 This is a very comfortable and well made real leather recliner at an affordable price. 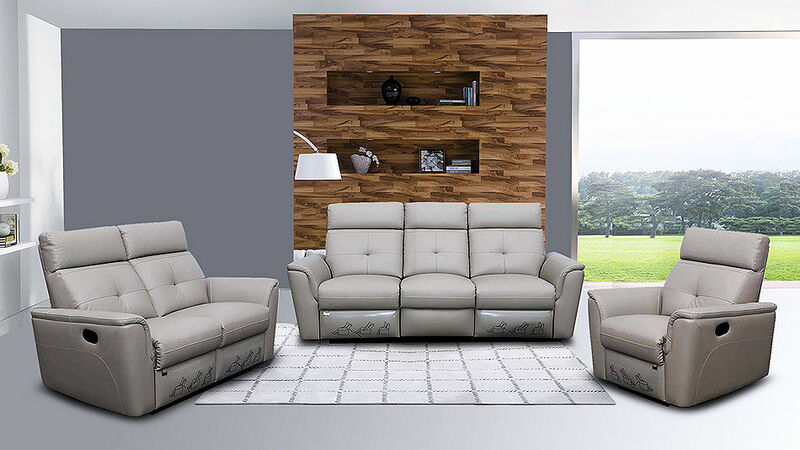 leather upholstery combined with the best designed leather match material applied to areas of minimal use. European styling and design. 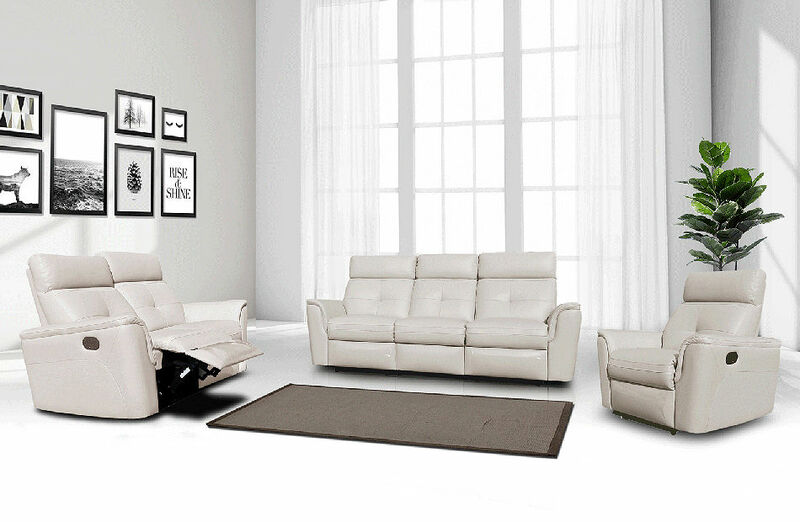 #8501 Recliner sofa set in Light Grey leather.